From Goodreads.com: In the late summer of 1969, the nation was transfixed by a series of gruesome murders in the hills of Los Angeles. Newspapers and television programs detailed the brutal slayings of a beautiful actress--twenty six years old and eight months pregnant with her first child--as well as a hair stylist, an heiress, a businessman, and other victims. The City of Angels was plunged into a nightmare of fear and dread. In the weeks and months that followed, law enforcement faced intense pressure to solve crimes that seemed to have no connection. I have been fascinated by the Manson family since in first read Helter Skelter over fifteen years ago. It is a classic study in how if just one thing had gone differently, the entire thing could have been blown open long before it did. It is also nothing short of incredible how this one man was able to warp the minds of so many young people to the point they would murder for him. When it comes to this version of events, I found the timeline to be laid out in a way that may be a bit confusing to anyone who is reading about these crimes for the first time. 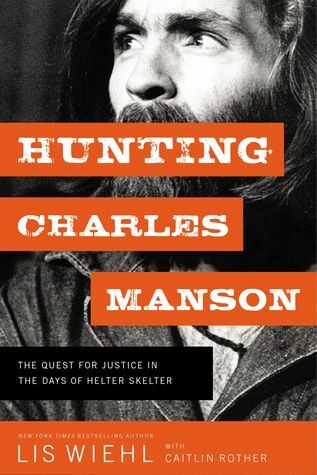 For example, the authors detailed the crimes before they detailed Manson's early years. I would have thought it would be more helpful to discuss the man himself before delving into all that he was accused of. I also found it enlightening how close law enforcement came to actually capturing them, had they only been a bit more forthcoming with one another. The intriguing counter arguments explored in this book were also something that I had not known about before, and therefore had not considered (for example, I did not know that two of the people murdered alongside Sharon Tate had been well known to the drug scene). Overall, I believe this story presents a well-rounded, and deeply research account of events (not only including the murder and trial, but also the subsequent parole hearings as well). This is a great read for anyone who is interested in not only the Manson murders, but also in true crime novels.